Our Treble Wine Collection consists of 3 x 75cl bottles of Sauvignon Blanc each from the Marlborough of New Zealand, 1 x Brancott Estate, 1 x Waddle Duck, 1 x Cloudy Bay see description below. 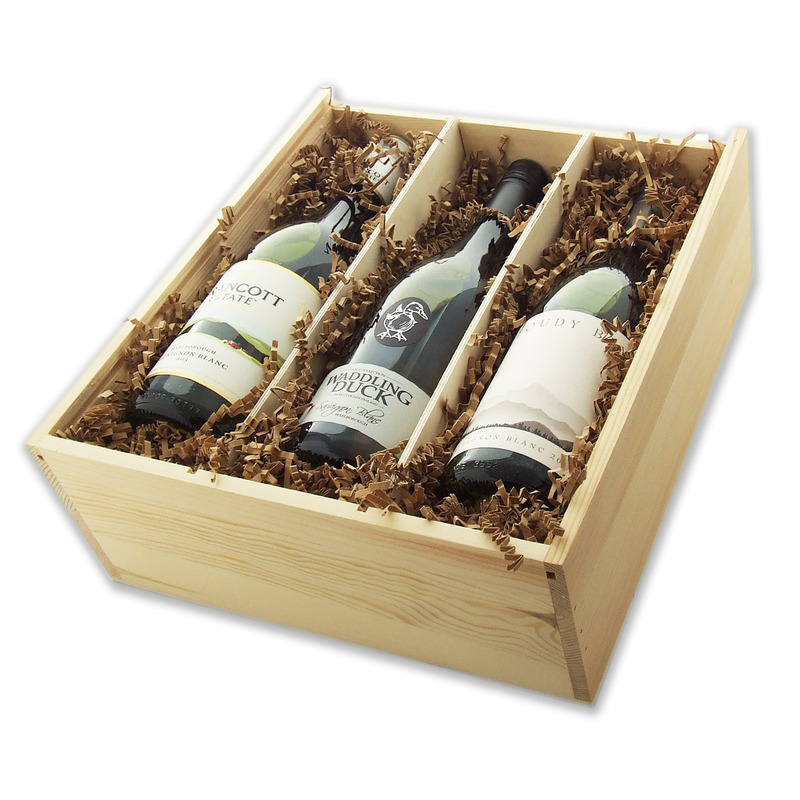 All perfectly presented in a wooden box with a sliding lid. Brancott Estate 75cl New Zealand in a glass..vibrant and lifting aromas of ripe tropical fruits and gooseberry. Bracing acidity is tempered by concentrated green fruits, citrus and hints of grass with a reviving fresh finish. Waddling Duck 75cl An extremely approachable wine with a nose of intense, fresh gooseberry fruit. The palate is dry and full of white peach and passion fruit flavours. Cloudy Bay 75cl Fresh and vibrant, with ripe lime and grapefruit flavours, together with nectarine and gooseberry flavours.